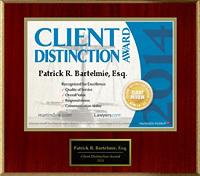 I am Patrick Ryan Bartelmie Attorney at Law. 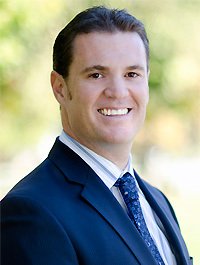 I was born and raised in the Silicon Valley and am proud to practice Estate Planning and Business Law in the area where I have lived for most of my life. Growing-up I lived and attended school in Willow Glen and Los Gatos, and I am a graduate of Los Gatos High School. I attended college at the University of California Santa Barbara and graduated with a Bachelor’s Degree in History. I hold a Juris Doctorate (J.D.) from Golden Gate University School of Law in San Francisco, California. At Golden Gate University, I earned both Dean’s List honors as well as a CALI Excellence for the Future Award for achievement in Professional Responsibility while focusing my studies on domestic business law. 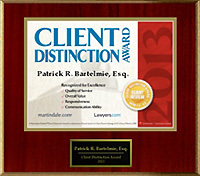 I am licensed to practice law in the State of California. Estate planning is a critical exercise for individuals and married couples who wish to protect their assets and privacy. Every client’s situation is unique, and I work to provide an estate plan that is specifically tailored to achieve the goals and wishes of each client. I work closely with clients to craft estate plans that will effectively transfer wealth between generations and carry out personal wishes in a private manner upon death. My services range from the preparation of core estate planning documents including wills, living trusts, powers of attorney, and advanced health care directives to advanced planning techniques such as family limited partnerships and family limited liability corporations. Probate is the process in which property passes when an individual dies with only a Will, or no Will or other estate planning documents in-place. The probate process can be difficult to navigate and stressful to complete properly without experience. 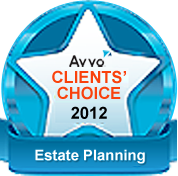 I can help you organize an estate and effectively distribute assets to beneficiaries via the Probate process. If you are the Successor Trustee to a Trust, you carry the responsibility and power to gather and distribute assets of the estate. I can assist Successor Trustees in the Administration process as well as guide you to avoid the potential pitfalls of serving as a Trustee. My Probate and Estate Administration services range from assisting with non-probate transfers of eligible property to complete representation of estate representatives in Probate and Trust Administration cases. 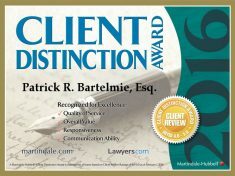 I offer a range of business services and counseling with an emphasis on providing clear and concise legal analysis that clients can rely upon to anticipate and resolve legal issues confronted in the business world. Areas of emphasis and specific services include the formation of business entities, including Corporations, LLC’s and General Partnerships; negotiation and drafting of business contracts; commercial transactions; registration of trademarks; corporate governance compliance as well as the sales and acquisitions of business entities. The focus of my business law practice is assisting clients in the creation, expansion and management of small and medium-sized businesses. Some representative business clients include a San Francisco restaurant group, an IT consulting company, a San Jose building contractor, a construction management consulting corporation, and three separate restaurants held by LLC’s and a General Partnership.